Our standard upstands are 100mm high (about 4 inches) and are usually in lengths of 1250mm. 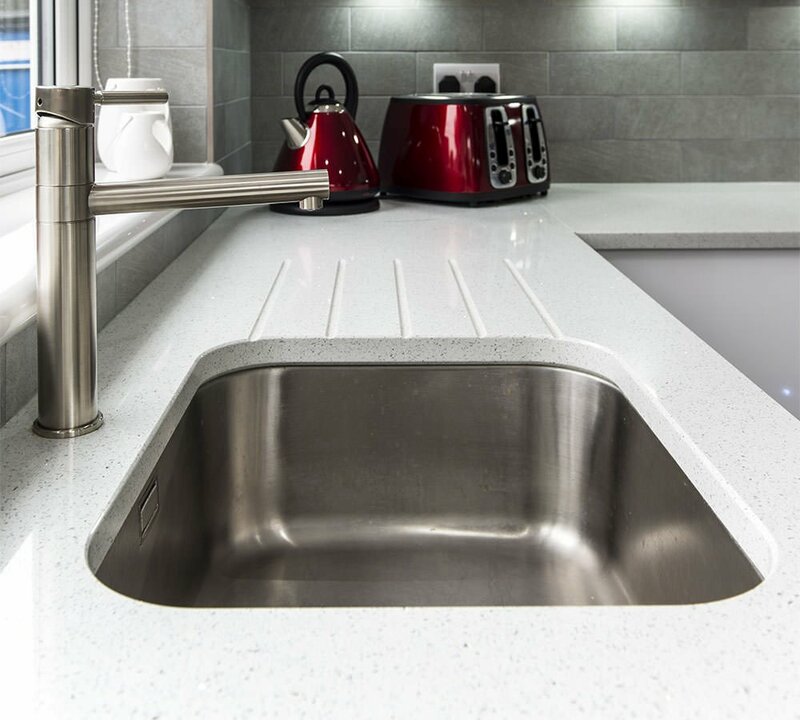 Normally upstands are used all round the kitchen surfaces, on all walls but not up against units. For different height/length up-stands it is a case of ‘price on application’ as there is a lot more work/time involved for us to make them by hand and sometimes more wastage of materials thus considerably increasing the cost. 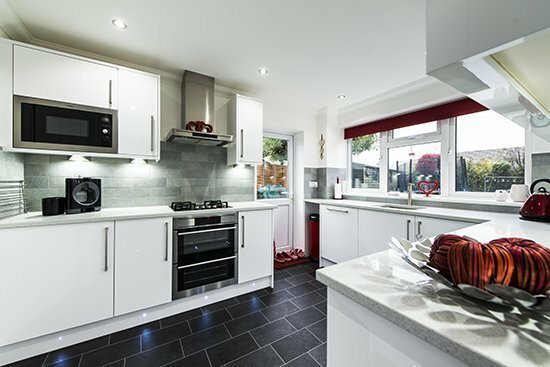 Splashbacks are higher than our standard upstands and are normally used in certain splash/splatter areas of the kitchen such as behind the hob or sink. They are often made from 20mm sheeting but can also be 30mm, they are also not a standard stock item so please check availability and price on application. 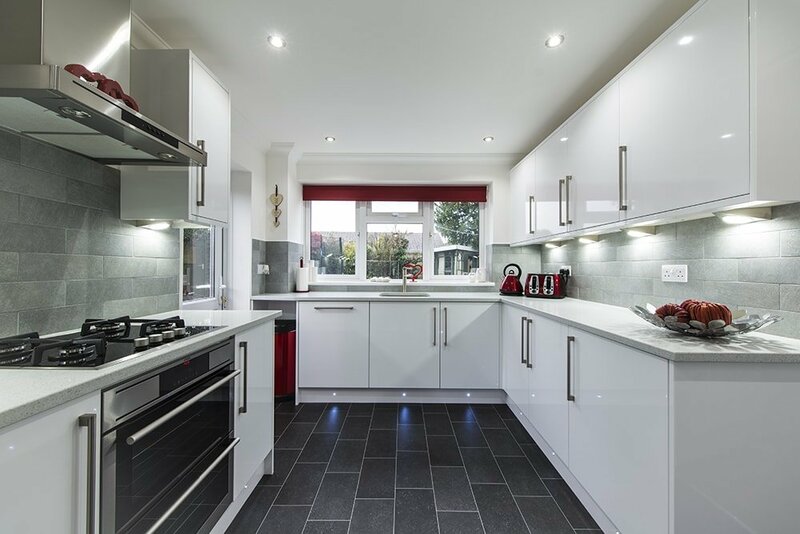 Some customers do not have upstands but, instead, choose to tile right down to the worktops. With the huge range of wipeable paints now on the market some people don’t do either. This picture shows no up-stand but tiled down to worktop with hand-made grey tiles. 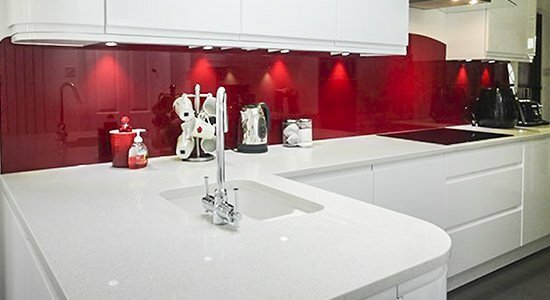 Some customers have upstands and no tiles, Make sure you choose a paint especially for kitchens that can be wiped down easily, or maybe splashbacks in the high “splatter” areas. with matching up-stands, windowsill and bespoke height upstand under the sill. Painted walls. Some customers prefer upstands and tiles with 75mm up-stand, matching sill and raised corner feature( teamed here with complimentary colours in the cream/blush beige tiles). 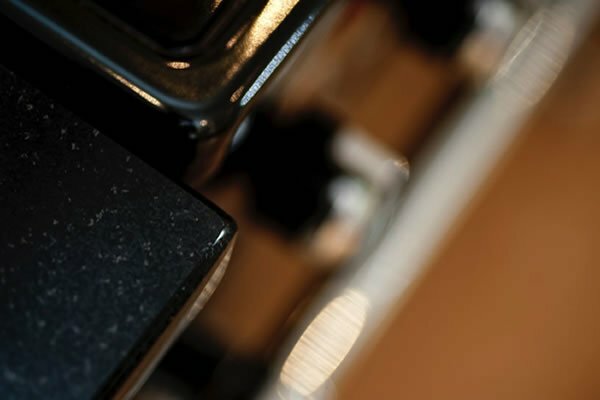 Some customers choose to have matching splashbacks behind the cooker, worktops, upstands and splashback behind the hob. And occasionally some people have full height splashbacks all the way round! 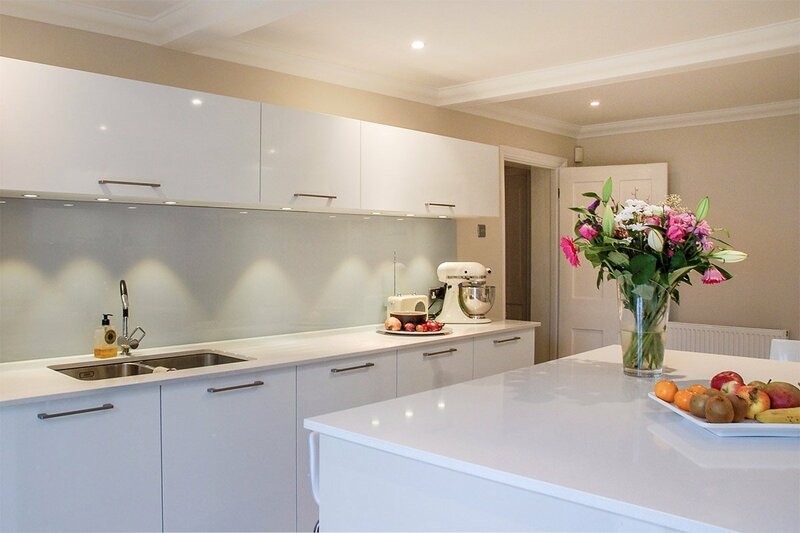 worktop and splash-backs shown here with cream cabinets.